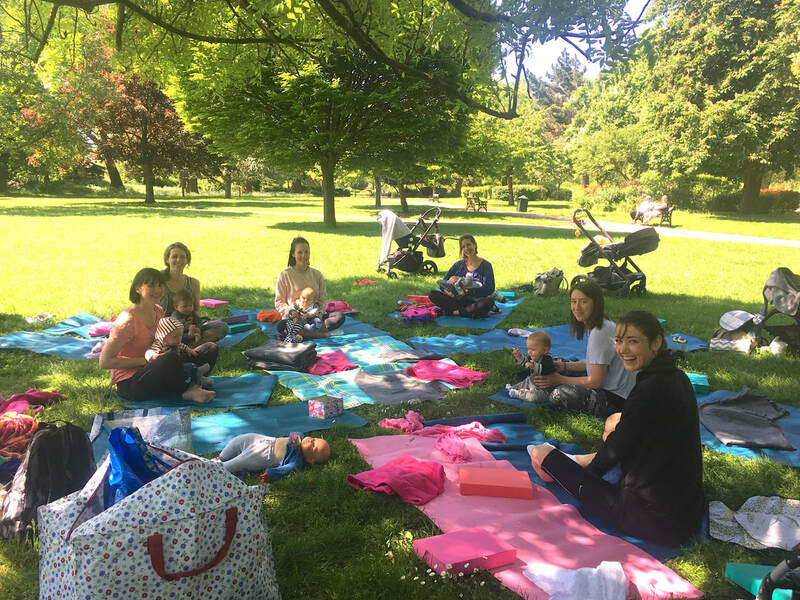 Postnatal Yoga classes are a special time set aside for Mums to gently begin to exercise, move and relax again. Specialist postnatal Yoga sequencing will help tone and strengthen your muscles, improve your posture and combat fatigue. There is a focus on opening tight shoulders, recovering core strength and healthy alignment as well as some relaxation. We have some songs and relaxation to baby too. Our community class environment is friendly, relaxed and fun. We go with flow with whatever comes up with baby in our classes, so whether baby is asleep, needing a feed or change it is totally fine. Classes are also great way to meet other Mums with little ones in the local area. Classes are for mothers and babies aged six weeks to mobile - crawlers welcome but not walkers sorry. We are located at Finsbury Park Athletics Track at the centre of the park. The nearest entrance is by Manor house. This class will be indoors when its cold and outdoors during the summer months. Mats and props provided, but please bring a baby blanket to put down over the Yoga mats. ​Any questions at all feel free to get in touch.